Double glazing windows often do the job for a certain period of time. Once they get old, issues start to arise which can increase your heating bills significantly, especially during the winter months.One of the biggest problems for household owners is knowing when it is time for their double glazed windows to be replaced. When water leaks through the window frame, this means its weather seal is no longer capable of providing active isolation. However, in certain cases, leakage in double glazed windows occurs because of chocked drainage. You should replace or repair double glazed window immediately if your unit is old, backdated and leaking. Condensation is the process in which vapour or a gas changes to liquid form. This can happen both in chilly and hotter climates. When condensation builds up in your double glazed unit, it indicates that the seal that surrounds the two separate panes of glass in your window unit is damaged. As a result, they fail to hold the gas in between them. This is a major problem. It is better to replace such faulty units with brand new ones to ensure greater value of money in the long run and a reduction in your heating bills. Glass panes are easily subjected to cracks and breakage. As far as double glaze windows are concerned, contact our reliable glass company in Kent, call us on 01227250157 or visit kentglaziers.co.uk to book your service to resolve such problems. Cracked or chipped glass panes are synonymous to irreparable damage to your double glazed units. 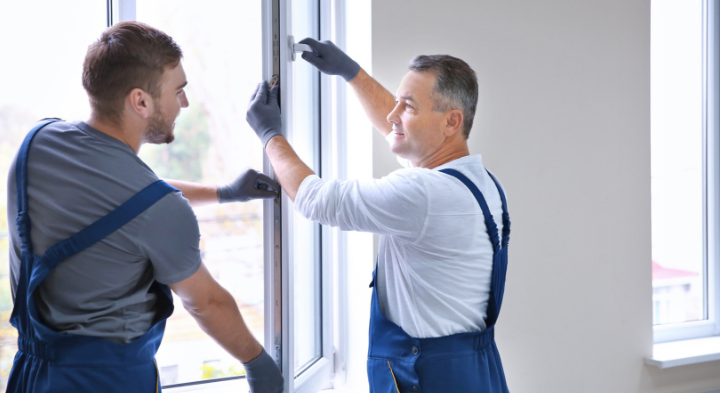 It’s better to get the entire unit replaced in such cases than spending money on replacing only the damaged panes as they may not last as long due to previous damage. Draught often flows in from the outside when your window seal is broken or damaged. When you face this problem, you need to replace the whole weather seal. A better alternative, however, is to replace the entire double glaze unit with a new one.